FCB Chicago and Illinois Council Against Handgun Violence unveils 'Most Dangerous Street' as a call to action. You’ve heard the stats before, but we’ll tell you again, because it’s just as shocking every time. An estimated 100 Americans are killed with guns and hundreds more are shot and injured each day in the U.S. And the city of Chicago has one of the largest firearm problems, where more than 30 people were shot in one weekend recently. To fight these alarming figures, non-profit Illinois Council Against Handgun Violence (ICHV) has unveiled a powerful new activation in partnership with FCB Chicago. "Every day, we see headlines about gun violence across the United States – especially in Chicago," said Liz Taylor, chief creative officer at FCB Chicago. "As a result, many people have become numb to this violence and don’t take action, which is a major problem. "Creatively, we were determined to humanize these headlines by creating a visual experience that represented real-time victims. It’s extremely powerful, and we hope it drives individuals to step up and demand change." 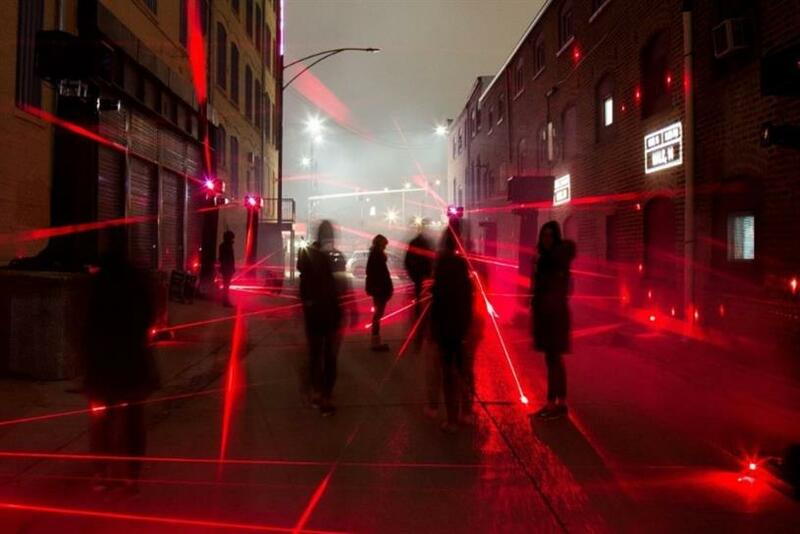 "Most Dangerous Street" is a walk-through installation that visualizes Chicago’s gun violence. It includes emotional audio clips from real people impacted by the terrifying reality. The exhibit is filled with red laser beams. Each beam represents a victim of gun violence. As visitors cross through the beams, details of that victim, including age, gender and time of incident, are projected on an alley wall. Rob Nash, board chair at The Illinois Council Against Handgun Violence, said: "It’s an emotional display and we hope it motivates people to take action. The advocates’ and victims’ stories in the context of real-time shooting data is a powerful demonstration of why we need to support sensible gun violence prevention laws to protect communities across Chicago." The installation aims to gain support for the SAFE Act, which helps identify areas that experience high levels of crime based on data surrounding gunshot hospitalization and mortality per capita to create safe zones for improved neighborhood safety. Senator Patricia Van Pelt added: "The SAFE Act is an important piece of legislation to help make our streets safe. The Illinois Council Against Handgun Violence Most Dangerous Street illustrates Chicago’s gun violence in a way that is impossible to ignore -- all in an effort to get everyday Chicagoans to voice their support for sensible gun violence prevention laws."